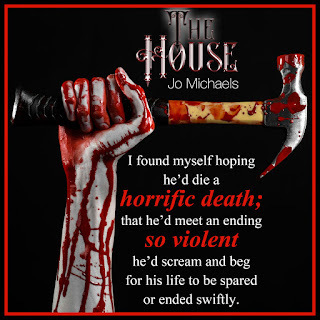 The House, wow. This was something else. She sure has seen more than her fair share of horrors. The idea behind this book was so original! I loved it. I strongly suggest reading Intensification first. That is where I started, I think I am going to go back and read the other 2 books also. We heard the name Dr. Ward a few times, so I am guessing she was in the first 2 books, but all at once she wasn't a huge character and you don't HAVE to know who she is first. I was content with starting at book 3. I just want more now :-) Jo was a new to me author so I will for sure go look up her other work. 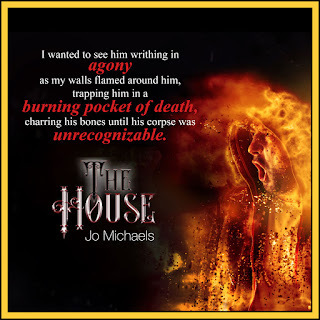 This house is cursed, and everyone who lives there is in grave danger. Ever wonder what stories youâd hear if walls could talk? What if those walls witnessed unimaginable horrors? 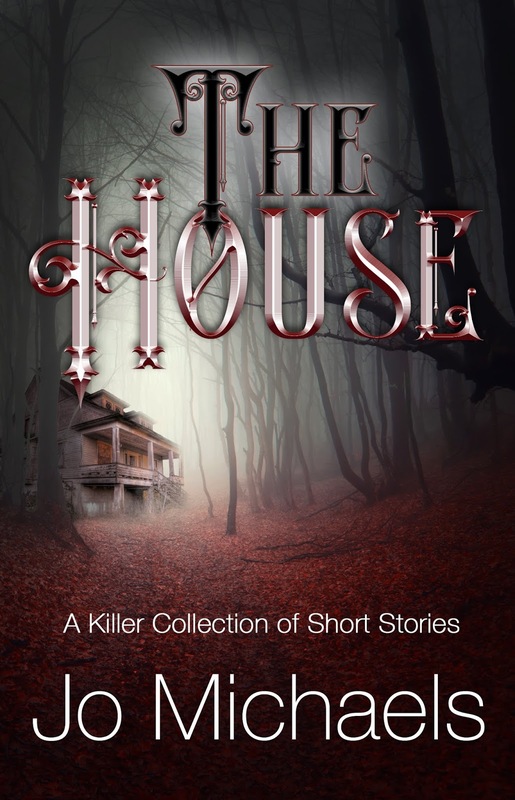 Inside these pages is the story of one such house. What it sees, the people it meets, and what happens when a terrified spirit is invited to stay. 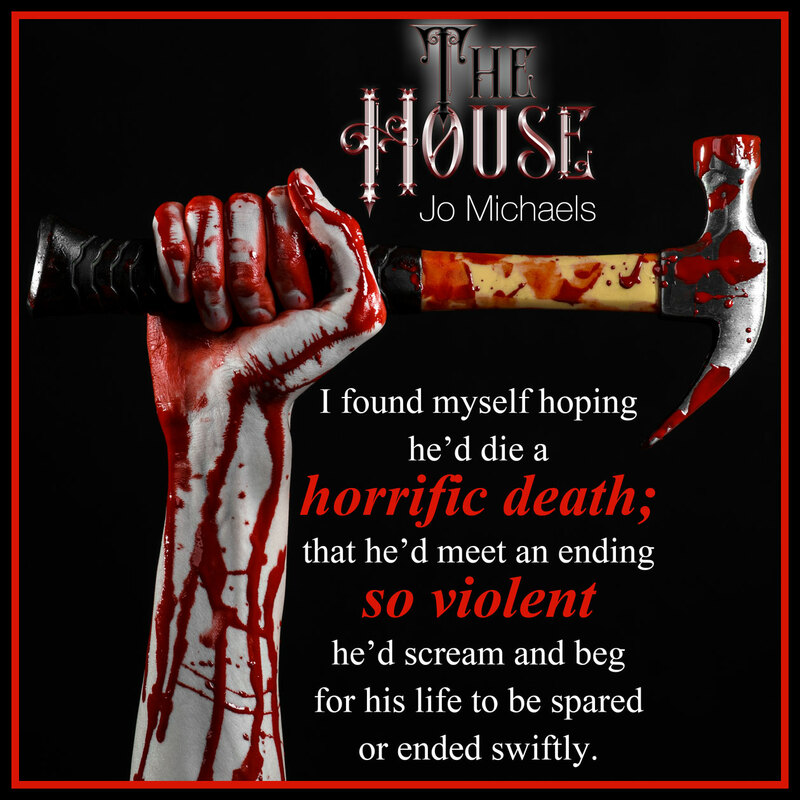 The House is a collection of short stories that ties in with the Pen Pals and Serial Killers series by Jo Michaels. Youâll find a couple of those characters named, and discover how one grew the teeth he used on the women he captured later. Spoiler alert! 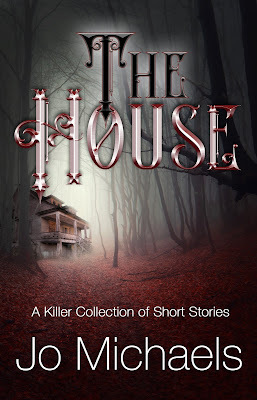 You need to read Intensification (Pen Pals and Serial Killers, #3) before you read The House. At the risk of sounding clichÃ©, I'm going to let it out there and say how much I absolutely adore the man I'm married to. Along with my children, he's my whole world. My yellow paint; pretty, white shutters; and pristine porch were sullied by the first man who dwelt here. I call him The Butcher, but his name was Butch Campion, and he was thirty-seven. His face is one Iâll never forget, and the atrocities he committed are things I still shudder to think about. We met one month after I was born. He walked in, so proud and full of himself, his feet sending vibrations through my floorboards as he tromped through, checking every room like he was planning to bring a whole family in and bring them up. I thought weâd get along famously and was looking forward to warming the feet of small children as they played. Once the papers were signed, and I was his property, things went well for a month or so. Heâd go to work, come home, sit on the threadbare couch, and drink beer. To my chagrin, he didnât seem to have a wife or children, so there was nothing for me to do during the day except sit here. It was after that first month that I started to figure he might not be my ideal owner after all. My lawn was never cared for, and the ivy growing nearby was allowed to spring up, threatening to take over the cute porch the builders thought to add. Butch would go out and bring home booze of some kind, cigarettes, and fast food. He never cooked, and he left wrappers and empty boxes all over the place, making me smell like a trash can. Roaches scuttled in, intent on a good meal, and heâd squish the ones he saw, leaving their carcasses to decompose where they met their gruesome end.